Quality ranking: A metric that measures the quality of your ad as compared to other ads intended for the same target audience. Engagement ranking: A metric that compares your expected engagement rate to other ads targeted for the same audience. Conversion ranking: A metric that compares your expected conversion rates to ads with the same target audience and optimisation goals. The relevance score is a metric that tells you whether your ad is relevant to the audience it is going out to. The new metrics that are being rolled out are similar to the relevance score but are a more detailed analysis. According to Facebook’s official announcement, ”When used together, ad relevance diagnostics will help advertisers understand whether changes to creative assets, audience targeting or the post-click experience might improve performance." Whenever you run an ad on Facebook, it takes a look at your campaign goal and your target audience to understand what your audience is likely to do after seeing your ad. In other words, the relevance score is based on the expected action of your audience. How are granular metrics more beneficial than relevance score? Since the relevance score is based on expected performance, it is indeed a vague parameter to measure the success of your ad. It is one of the primary reasons why Facebook has replaced the relevance score with three granular metrics. The greatest advantage of granular metrics is that they give you a more in-depth and focussed view of your ad’s performance. According to Facebook, these metrics will help advertisers offer the best user experience for their audience. Facebook advertisers can get better insights to produce engaging videos to drive traffic and revenue. Apart from relevance score, Facebook is planning to shut down six other metrics such as saved offers, cost per offers saved, messaging replies, cost per messaging replies, mobile app purchase and web purchase. The three granular metrics will be rolled out by Facebook from April 30, 2019. It is highly important for advertisers to keep a tab of these metrics as they help with specialised insights about ad performance. This is indeed crucial for advertisers to strategise high-quality ad campaigns and improve their optimisation initiatives for better brand visibility and revenue. What was the last post you engaged with on Social Media? If your answer begins with the phrase “A video on…”, then you are among the 80% of Internet users who engage with this popular format of content on a daily basis. Compelling videos are undoubtedly the best way to grab the attention of your target group and elevate the image of your brand. There are multiple formats that a brand can try out when it comes to video marketing. From animation to explainer videos, you have plenty of options and formats to choose from. One such format that is gaining popularity is vox pop. It provides real-life original content on popular opinions that the audience can often relate to. It is also an incredibly effective way to communicate the brand’s USP while triggering a conversation among people on an important topic. It is safe to say that showcasing the USP of your brand in an interesting and insightful manner is the primary objective of every video campaign. Vox pops are your best weapon of choice in this context since they showcase people’s opinions on a broad topic and allow the brand to convey a strong message through people’s answers. What better way to reach the public, than through the public? Last year, we created a vox pop for our client FundsIndia. The theme of the vox pop was centred around what people do on their phones all day. We received a variety of answers from browsing social media, to paying bills and booking tickets for entertainment. Based on people’s answers the interviewer raised awareness towards the use of the internet to invest money in a SIP or mutual fund. The vox pop helped communicate FundsIndia’s message of the importance of investing early to reap the benefits in the future. The video was promoted on Facebook and achieved high organic views and engagement. Production videos are great. They do exceptionally well on both YouTube and social media channels as they have a personal connection with the target audience. However, the production costs involved in creating a video can often weigh you down and curb your creativity. Moreover, shooting a video with a studio setup will also result in a lot of overhead costs as they may include travel and sourcing actors. Vox pops, on the other hand, have little to no costs and are a budget-friendly option for new or growing companies. A mic, camera and quirky set of questions are all you need for production. You can gain a quick and creative piece of content at a minimal cost. Vox pops are great not only for getting insightful and relevant comments from users but it also helps a brand curate original content. People’s opinions on certain topics can help spark a conversation about an important issue or event. Not only does this give the company a unique name but it also encourages conversations about issues that people would not have normally thought of. For Diwali, we steered clear of the usual celebratory videos for our client Ashok Leyland. To break through the clutter, we used a vox pop video to highlight the important role truck drivers play on this festival. To do this, we asked people what they did to celebrate the holiday. People shared their thoughts on what the festival meant to them- they talked about the sweets and gifts that bring meaning to the holiday. We used this opportunity to remind them of truck drivers who deliver the gifts and sweets across the country to make sure everyone has a great holiday. This sparked a conversation about the people who worked on Diwali and how they deserve to be celebrated as well. “Diwali Ke Asli hero Kaun hai?” was promoted on all the major social networking channels of Ashok Leyland with the hashtag #YehDiwaliBadiNirali. This was also one of the most trending vernacular vox-pop videos of 2018. The video garnered over 2.5 lakh views across platforms with 3.1K comments and 400+ shares. Vox pop videos help voice the opinions of people in society. This provides for a very organic form of advertising as we get to hear people’s unfiltered thoughts on the topic discussed. People’s opinions and views on a topic can vary, making vox pop videos more relatable and memorable. It is a creative way of bringing research to life by producing compelling video content. We did a vox pop video for our client, Sundaram Mutual, for Father’s day that everyone in our target audience would be able to relate to. The aim of the video was to communicate the importance of saving through our spending habits and how they differed from our dads’. When we asked millennials what they would do with 1 lakh rupees, most of the responses involved food or travel but when asked what their dad would do with the same 1 lakh rupees, the answers included saving money for the future or for their kid’s education. We received a great response to this video with 3 million views, 36K shares and over 600 comments. In contrast to traditional advertising, vox pops are original. The real-life responses of people can often result in various emotions, both happy and sad. Vox pop videos can also increase engagement on other social media platforms such as Twitter and Facebook as people post their thoughts on the videos. The ability of vox pops to bring out so many emotions in people makes it a great form of advertising for many companies to help add value to their brand while spreading a positive message. With 300 million active Indian users from diverse backgrounds, Facebook is one of the best platforms for brands to reach their target audience. However, the competition is undeniably high and brands need to constantly look out for ways to stand out. One of the most effective ways for brands to capture their audience’s attention completely in this crowded space is through Instant Experiences. Previously known as Canvas, Instant Experiences offers brands an immersive full-screen experience with new and updated features. Instant Storefront: Certain to become one of the top social media trends for FMCG and retail brands, this template showcases products in a grid format along with their price. After clicking on them, users are immediately taken to the product page where they can make a purchase. The convenience that this offers can help brands increase their sales through social media marketing. For D:FY, we used Storefront to showcase the products and direct viewers to the Amazon product page where they can actually buy the product. This led to higher engagement and increase awareness of the brand. Instant Lookbook: With the artsy aesthetics of magazine spreads, the Instant Lookbook template can help fashion brands bring their looks to life. Users can scroll through each of the looks and click on them to be redirected to the product page where they can explore the product further and buy it. Read our blog on Design Tips to Create Great Visual Posts on Social Media to get started. Instant Customer Acquisition: For brands focused purely on driving sales and growing their customer base, Facebook’s Instant Customer Acquisition template can encourage higher conversions. This template can be used to showcase the different features of a product and provide users with a clear call-to-action at the end to compel them to make the actual purchase. Instant Storytelling: While the 20% rule for text overlays on images has been removed, creatives with less text generally perform best on Facebook. Because of this, brands are often unable to communicate their entire brand story as engagingly as they would like. Instant Storytelling offers a solution to this. Through a mix of images, videos and text, this format gives brands all the space they need to communicate their brand offerings and key differentiators. Your brand can leverage the top design trends for digital marketing to create unforgettable experiences for your audience. Instant Form: Looking for quick lead generation? Instant Forms drive your consumers towards a clear call-to-action by asking them to fill out a form. When combined with the superior visual appeal and space to showcase your USPs, Instant Forms has the potential to drive higher leads than other forms of advertising on Facebook. Facebook’s new Instant Experiences doesn’t just give you new ways to appeal to your target market, it also helps you analyse just how effective your techniques were. If you have embedded pixel in your company’s website, it will automatically become integrated with Instant Experiences once you start experimenting with it. This will give your brand valuable data and deep insights into the customer journey. It will show you time spent by each users, whether they engaged with it (such as scrolling through a carousel) and how far they scrolled. This will give you a better understanding of what messaging or visuals appealed the most to your target audience, helping you optimise future campaigns. The pixel will also allow brands to re-target their website visitors, which can drive higher engagement. Instant Experience can even integrate with external tracking codes, such as Google Analytics, helping you paint a complete picture of your consumer’s online touch points. If you have already used Canvas for your brand, the updated Instant Experiences can provide you with even greater results. But if you have never experiments with these immersive ads, here’s why you should start. Your audience is more impatient now than ever before. If your ad doesn’t look quickly, users are likely to bounce immediately. Instant Experiences offers incredible speed, loading almost instantly. This can encourage users to stay on your ad and reduce bounce rates. The digital clutter your audience experiences can prevent them from focusing fully on your ads. However, when they open an Instant Experience ad, it takes up their entire phone screen, blocking notifications, messages and other ads. This makes it easier for your message to resonate with them, enabling better recall. The multiple templates that Instant Experiences offers, makes it very easy for brands to adapt and use. You don’t need complicated codes or development to get started. Regardless of your budget or resources, you can start using Instant Experiences to engage with your audience. Instant Experiences has a number of tools and formats that you can use to communicate your brand story in the best way possible. You can use a mix of stunning images, carousels, videos, text and forms to create an ad that your audience won’t forget. Interactive ads are changing the way brands advertise by compelling users to engage with them more. Unlike ads on the News Feed, which users can easily scroll past, Instant Experiences offers them more information, are more visually appealing and engaging. This can give users a greater incentive to enquire. The Instant Forms format can also be more effective than traditional form as on Facebook. No matter what your brand goals are, Instant Experiences offers a novel and exciting way to achieve them. Are you ready to start using it to give your brand an edge? In the wake of the backlash that Facebook has been facing after millions of users personal information was leaked, the company has decided to cut off access to third-party data providers. Ad-targeting based on consumer data provided by third-parties allowed advertisers on Facebook to target consumers based on very personal, deep insights. This was made possible through a feature called Partner Categories, where Facebook partnered with external consumer data providers. Now, however, Facebook has ended this feature after details came out of Cambridge Analytica, also a third-party data provider, exploiting private user information. The company also announced that this was a part of their larger efforts to improve security and integrity of the platform for users. For advertisers, this move means that they will have to re-think their targeting strategies on Facebook. While they might not be able to rely on consumer insights provided by external agencies, they can continue using the Custom Audience tool on Facebook. The Custom Audience tool will not be affected by Facebook’s new policy because the data used is owned by the advertisers themselves. Facebook also uses third-party data providers for advanced social media analytics and will continue to do so. However, they have announced that they will be reviewing the integrity of these external agencies before going forward. The company has insisted that removing the Partner Categories feature will not put Facebook at a disadvantage in the competition between its rivals like Google. Instead, they believe that it will prove their commitment to protecting consumer data and placing privacy of their users above all else. With the growing number of Indians joining Facebook, it is very likely that the platform will continue to be one of the most important ways for brands to engage with India’s next billion internet users. Facebook expects that their new policy will come into effect gradually over the next few months. This gives digital marketers an opportunity to rethink and refine their ad targeting strategies. FB vs Amazon Selling – What should you choose? E-commerce has revolutionized the way we shop! It has become the go-to destination for all our shopping needs. E-commerce sites provide better prices and more variety, making it a convenient option for shoppers. Many people browse through popular e-Commerce stores and search engines to find whatever they are looking for. Amazon, Flipkart, eBay, Facebook etc. are such platforms that enable buyers to shop from! With Facebook also offering various ways to promote your e-commerce store, the biggest debate now is FB or Amazon – What should you choose? Facebook, though popularly known as an online social media and social networking service, has introduced a feature called - Facebook Shop. The shop section tab can be added to your Business Page and it lets you display and sell the products directly from your business page. It's suitable for sellers, retail, and eCommerce advertisers who want to reach out to a large audience, who are the potential customers on Facebook. It's free to use, and Facebook does not take any percentage of what you earn through your shop section. Choose the best products and upload them along with the pricing. Once your products are uploaded, your customers can browse and buy them on any device without having to leave your Page. It allows you to mark orders as shipped, cancel orders and refund orders without leaving your Page. Facebook shares details such as how many views and/or message sends you've received for each product. However, you can only sell physical products that must comply with Facebook’s content guidelines. Additionally, you can also run product ads on Facebook. Advertisers can upload entire product catalogs and then use Advanced Facebook Ads targeting techniques to reach the right customers who would be interested in those products. Amazon, on the other hand, is an eCommerce website that allows anyone registered to sell their products with good user-experience and top-notch customer service. Acquiring a customer might be difficult, especially if you have just begun your journey of selling online. So it is a good idea to go to a platform that has already established themselves. Selling on amazon is relatively simple. All you need to do is register on the platform and follow their set of guidelines. It uses a majority of its homepage to feature personalized, recommended products to its members. Amazon takes care of customer issues and complaints in a timely and appropriate manner that has a huge positive impact at the end of the day. The biggest advantage Amazon provides is its Amazon Prime offering. It provides members with unlimited free two-day shipping on millions of items on Amazon, as well as access to the - Amazon Instant Video, which is the company’s streaming service and also allows the users to borrow books from the Kindle Owners’ Landing Library. Consumers research products online and look at ratings and reviews from their peers, as the opinions of other consumers are highly trusted. Thus, to increase sales, retailers take steps to increase the engagement with their reviews, such as offering incentives or sending friendly reminders via email to shoppers who made a recent purchase. Products on Amazon is advertised by using Amazon Sponsored Products. Retailers get free impressions for the product offers and pay only when the ad is clicked. However, on Facebook, you will have to run ads and promote it and measure the ROI. Learn how to boost a product, and learn about other ways of advertising on Facebook. Amazon picks products from the retailers and delivers it straight to the customer, whereas a seller on Facebook has to take care of the shipping & delivery on his own. Amazon deducts a fee only after the retailer makes a sale and receives timely payments, whereas Facebook does not charge any percentage of what the retailer earns from the Shop section. Have an e-commerce store? Which strategy are you using? Let us know in the comment section below. The e-commerce market is getting competitive by the day, and e-commerce businesses need to find unique ways to build relationships with their customers to create a loyal customer base. For any e-commerce business, website traffic is the most important segment, and yet it is the most challenging one. Social media is playing a very powerful role today in the evolution of online shopping. It provides a platform for conversations, reviews, information and expression. An e-commerce business can leverage on the opportunities provided by the social media platforms for their own benefit. According to an article by Magento, 93% consumers turn to social media to help them make buying choices, while 90% say they trust recommendations from their peers. Several strategies have been listed by digital marketers on how e-commerce businesses can use social media to drive traffic to their website. Listed below are five powerful tactics you can use to embrace the reach of social media for higher benefits. Leaving your ad open out there in front of the masses is not such a great idea. Once you have figured out your prospective customer base, you can use targeting options provided by social media sites like Facebook to target your ads to the relevant customer base. Facebook provides you with numerous targeting options based on location, demographics, Interests, device type, etc. It also provides you with features like custom audiences, lookalike audiences and retargeting. Using these targeting options, you will be able to reach your potential customers and engage them more effectively. Smart Targeting will help you increase your ROI on Advertising to a great extent. Dynamic Product Ads can be used to retarget customers who have earlier shown interest in your products or services. To drive more sales across devices, dynamic product ads now provide a lot of flexibility and variety in functionality to e-commerce advertisers. A classic example would be that of Cathay Pacific Airways. They used dynamic product ads for travel, to reach people who had earlier performed a search on their website. The ads featured an image of the destination city that people searched for to inspire them to act. The ads also included a "book now" button that linked directly to the booking process on the Cathay Pacific website. Another example is that of eBay. eBay is successfully using dynamic product ads and retargeting to motivate their customers based on the customer's interest. They connect with their customers by showing them personalised and relevant products in their ads. Facebook Carousel ads are also a great way of showcasing e-commerce website products. They not only help to showcase the products in detail but, when used creatively, also help drive traffic to the e-commerce websites. Influencer marketing is the new buzz word and has currently penetrated in the marketing mix of many industries. Mostly food, travel and fashion are the three major industries where influencer marketing is really going up the ladder. Influencer marketing is a newer and organised term for the old-fashioned word of mouth marketing. The way people work through the buying process has changed due to the advent of the internet and social media. People now have become more efficient in their search process, and they look for comprehensive and authentic information online. While associating an influencer with your business, it is important to consider the influencer’s likability, credibility and trustworthiness. Remember that Influencers act as brand ambassadors for the audience and thus the information they put out there should be in sync with what the business stands for. Influencers can be used in numerous ways: For product launches, reviews, engagement, campaigns, events and so on. A very good example of this is the Influencer campaigns done by Nykaa.com. Nykaa is an e-commerce store that deals with skincare, beauty and makeup products. Nykaa.com engages with various beauty bloggers and influencers and weaves campaigns with them. Beauty and fashion are two areas where people rely heavily on reviews and opinions of influencers. Nykaa leverages this very well. The majority of online shoppers have agreed to the fact that not being able to physically touch and feel the products on e-commerce websites is their least favourite part of shopping online. This is especially true in the case of fashion and beauty industry. Product images from different angles and views may not completely explain a product's functionality or provide a proper overview of the product. Videos are the new preferred form of media and e-commerce businesses should leverage on the high acceptance of videos among customers. Ecommerce businesses can use videos to bridge the gap between offline and online shopping experiences. Product videos can help in providing a holistic buying experience to the customer and also provide a clear overview of the different scenarios in which a product can be used. This makes it more appealing to online buyers. Product videos can not only be used on product pages but also on social media feeds of the e-commerce brands as well as part of Facebook or Google ads. Not only can these videos be used for Facebook and Google advertising, but they can also be used for advertising on YouTube. There are several versions of videos that are gaining popularity on social media. A few of them are live videos, 360-degree videos, 30-second videos, time lapse videos, stop motion videos and animated or white videos. Product videos can be used to introduce a new product and show how the product works with other similar or commonly used products, from the brand, and to encourage conversions from existing customers. On1y is a food brand that caters to a very niche market segment. It provides spices, herbs and exotic seasoning. On1y uses a lot of innovative ways to engage with its audience on social media and at the same time create a buzz around its products. In the screenshot below, On1y has shared a Facebook live video of a food influencer interacting with customers and cooking up recipes using On1y spices. Social media for e-commerce is not simply about pushing across products and promotions. Many e-commerce companies fail to understand this. Social media can be used very well for engaging audiences online through high value textual and visual content. Ecommerce brands can find it very tempting to simply fill timelines with product promotions and advertisements. However, social media provides numerous ways by which e-commerce brands can make online shopping a delightful experience for consumers. You can engage audiences through live polls, live videos, user generated content, contests and much more. Topical posts and festive posts can also be used to attract audience attention. To garner high level of engagement, it is important to understand the need of the customers. Understanding this will help brands to curate content accordingly. Social media can also be used by e-commerce brands to provide better customer service. Nowadays, a lot of customers look for solutions on the internet and prefer quick communication over the internet rather than going through a long phone call. At the same time, brands must encourage satisfied customers to write reviews and rate the products/e-commerce brands. Reviews and ratings go a long way in building a brand’s credibility online. Blogging is a great way to drive traffic to your e-commerce website. It helps your site rank higher in SEO through several internal links and backlinks. Blogging is also a good way to reach out to customer problems and be a problem solver. Most customers search for solutions to their problems online and blogging can be a great way to provide solutions to them. Long form content helps to drive more traffic and definitely helps in higher search page ranking. Blog posts also help to subtly introduce products or promote products in an indirect way. For instance, a blog post on the topic "summer dressing" by a fashion e-commerce site could consist of summer looks using products from the e-commerce site. This will not only create attractive and useful content for the readers but will also serve the e-commerce brand's purpose of showcasing their products. 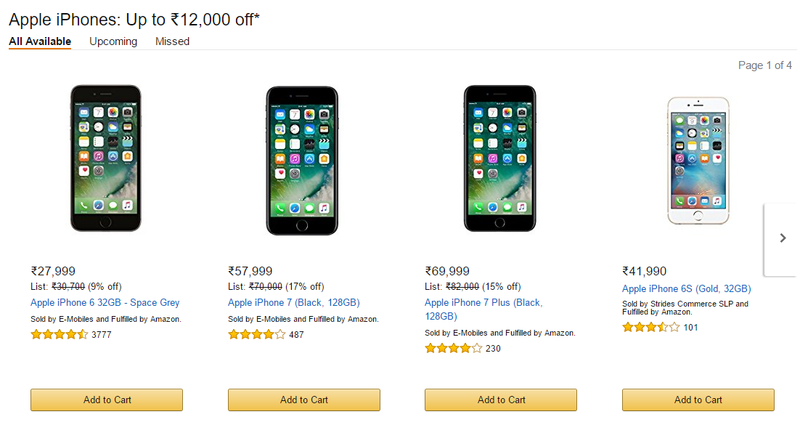 Similarly, a blog post on "Top 10 budget smartphones" by an e-commerce brand like Flipkart or Snapdeal which sells mobile phones could include descriptions of each smartphone comprising of unique features and direct links to the products on the e-commerce site. Finally, it is important for e-commerce brands to identify the right social media channels to leverage their brand. Social media platforms, if used creatively and strategically can help e-commerce businesses reach their target audience in a much faster way. The importance of social media has been adequately realised by fashion and food industries among others. However, e-commerce brands can also leverage the benefits of social media by strategizing and creating fool-proof social media plans. By now, everyone knows what Instagram is – the social media platform that enable its users to take pictures and short videos and share them in the app (and on multiple other platforms as well, but that is a completely different blog for another day). Nevertheless, a new day is on the rise… Instagram is not only hashtags and pretty pictures. Over the last few years, the app has evolved from a teenage forum where girls would hit like when their BFF uploaded yet another selfie, to becoming a platform of huge potential revenue when it comes to all sorts of business. As of now, Instagram drives sales with a high average in orders, and according to Shopify, Instagram referrals actually results in an average order value of $65, which is second only to Polyvore’s $66.75. Even though most visits will not end up resulting in a purchase, the ones that do, will result in considerably higher revenue than other social networks –take for example YouTube’s $37.63 average order value. Another major piece of the puzzle is the number of active users, and seeing as the user base for Instagram in India alone is estimated to be almost 6 million active mobile users every month the question should no longer be “should your company have an Instagram Handle”, but rather “how do you maximize your income through your Instagram”? E-commerce, Fashion, Real Estate, Hospitality, Medical Care… you name it, every single industry can profit from Instagram, when used correctly. Read on, and we will make sure that you are fully prepared to dive into the ocean of endless possibilities by teaching you how to leverage Instagram to build relations that ultimately can help to drive conversion with this unique social media platform. This knowledge can be seen as somewhat of a hurdle for some, since the elements that used to inspire engagement (likes and comments) are not the same as the ones that now trigger sales conversions. No need to worry though, this simply means that one must now use a mix of criteria when creating Instagram photos. You can use multiple tools for Instagram including some focussed on e-commerce. Posting user generated content is one of the most powerful ways to boost the credibility of your company. As consumers, we tend to perceive content originating from our peers as being authentic, because we trust that the everyday community has less of a vested interest in making a corporation look god compared to its employees. Keep in mind that consumer decision making is not always driven by price or quality, but in fact, a lot of consumers choose brands they associate with a lifestyle that sits well with them. For example, if you buy a BMW, you are not just buying a car, you are buying into a lifestyle. Visual user generated content, which basically is the foundation Instagram is built on, is all the more impactful, as it allows us to see products being used in real-life situations, which again makes it easier for us to imagine ourselves using these products or services. So re-post your followers content if it aligns with yours, because not only does this help to create a bond with the consumer through shared interests, it also portraits the product in real life. The emotional bond that is created when using UGC is exactly why ads with this content converts better on Instagram than the refined studio shots created by professionals. Another very important tool to use is to leverage the reach of influencers on instagram. It is a known fact that consumers are more likely to trust a recommendation from friends and family as opposed to a brand or a vendor. This is why it is good business for companies to use social media Influencers and user generated content to get the word out about their product, offer, service or whatever they wish to convey to their online audience. Influencer marketing has the power to drive sales, sign ups and app installs by using links and promotion codes which can be tracked. Tracking and analysing the data and ‘Call Per Click’ are numbers that are going to help you modify your spend in order to generate revenue from Instagram. Instagram also its own analytics tool now. Determine what metrics you care to track and make sure you keep a weekly or maybe a monthly report to monitor your progress. You also have to take advantage of targeting since Instagram now has the same targeting, creative and measurement abilities as Facebook. It is up to you to use the features and get the best possible results from your Instagram ads and campaigns. Brands are excited about the success they have seen with website conversion ads on Instagram and the potential the platform has to offer –and quite frankly, so are we! Tell us what has been your experience in using Instagram. Click here to continue reading blog articles around Instagram. Facebook Marketing has become an integral part of any digital marketing strategy and it has revolutionized the way we look at the online marketing industry. Over the last 12 years, Facebook has seen a 360-degree shift, transforming from a simple social networking site to the face of a multi-billion dollar company allowing brands to find new customers, increase their sales, create brand awareness and much more. When we ran an industry survey amongst CMOs and Brand Heads across India we found that close to 90% Brands in India are already leveraging Facebook. Advertisers are spending more money than ever before on Facebook as it has emerged as one of the biggest platforms to engage with their target audience. Keeping this in mind, new features are being regularly added to Facebook and marketers have to constantly make alterations to their strategies to ensure their content is still reaching its target audience. Below are a few points that have been gathered keeping in mind the recent changes which may give us clues as to what 2017 will hold for both consumers and businesses. You may also find it interesting to read our book on Digital Marketing Insights for 2017, which can be purchased on Amazon. Following the decrease in the organic reach of Facebook page posts last year, Locowise conducted a small study to analyze how page posting frequency impacts reach, engagement and negative feedback. The study reveals that pages that posted once a week or less on their official page reached an average of 15% of the audience who liked their page per post. Interestingly, pages that posted two to four times a week reached only 10% of the page audience and pages that posted once a day reached a lower average of 8.42% per post. This means that organic reach drops with an increase in the number of posts, and over posting content is a common mistake marketers tend to make on FB. This also means that the quality of content and FB posts needs to be extremely high and we are likely to see many brands evolving into fewer but highly engaging posts. Another study by social@ogilvy reveals that for large pages with more than 5,00,000 Likes, the organic reach has seen a remarkable decline when compared to other smaller pages. It is believed that marketing managers can expect the organic reach to further approach zero in the future. The detailed analysis and data interpretations along with the recommendations are available to read here in the full white paper. The number of users on Facebook has doubled from 845 million to 1654 million over the last five years. There are more brands than ever who are joining the bandwagon of Facebook marketing and these brands are posting multiple posts every day. All of this creates more noise and unimaginable amounts of content that will simply be filtered out and never reach the news feed of a specific user. With so much information to be filtered, Facebook uses complex algorithms to pick and show content to users they are most relevant to them and those that they are most likely to engage with.So it can be assumed that increased brand post frequency is aiding in the drop of organic reach. However, the only exception to this organic reach debate was seen in the news & media industry. The organic reach of news publishers seems to remain steady, even with a higher posting frequency. Here’s the result of analysis of 3,318 profiles, by Sotrender. Videos are the next step in the social media evolution and will most likely dominate the online advertising and marketing industry. As per the stats by Facebook, users watch an average of 100 million hours of video every day and most of these are on their mobile devices. Daily views have increased from 1 billion to 8 billion in the last one year. These stats are proof that users have started consuming more of video content and it is essential that brands leverage this in their favor to engage with the potential customers. Video content is the best medium for storytelling and is a great opportunity for brands to connect with their audience. Live videos were one of the major updates announced earlier this year by Facebook. This gave live videos prime placement in the Facebook app and also adds new ways to find, create, share, and react to them. This move efficiently makes live videos one of the central features of Facebook. Live videos offer a new way to interact on a platform that can feel so familiar that it risks feeling stale. Broadcasting live to your social circle gives you a certain thrill or even just watching a friend’s live broadcast, can bring in a fresh feeling of excitement and make you want to interact on the same old platform in a new way. On an average, Facebook says people are commenting 10 times more on live videos than they do on regular videos. This clearly means that brands must explore Live videos over recorded videos as this would help drive higher engagement levels with the audience. Facebook also rolled out an update where advertisers could add a video element for FB Carousel Ads. The shift towards video as a tool for marketing is evident and is definitely here to stay. We also have an interesting blog on how to create low cost videos to tell your brand story – in case you are creating videos for the first time. The fact that a business needs to have a mobile-friendly website is much talked about and is not a new concept. Last year, Google announced that, for the first time mobile searches surpassed desktop searches. This eventually led to a new situation where Google’s algorithm started to penalize sites that were not optimized for mobile devices. For the last few years, marketing experts have been stressing on the fact that there is an obvious need for businesses to optimize the sites for the ever-increasing number of mobile users. Facebook Inc announced that it has over 142 million users in India, of which about 133 million access the social network via their mobile devices. This means that a staggering 90% of users are using facebook on their phones in India. It is essential that marketers who are trying to engage with and attract potential customers in order to redirect them to their website, ensure that their website is mobile optimized and are able to leverage every micro moment of Indian consumers. In today’s Smartphone era, mobile-optimization is the norm and an essential item that can no longer be placed on the back burner to address later. A few years ago, advertising on social media platforms was a very niche concept with not too many players in the market. In this new age of online marketing, many brands have become aware of the importance of ads across various social media channels, especially Facebook. Today, with the various targeting and advertising options on Facebook, we can reach out to millions of potential customers in any part of the world. Facebook advertising is a strong tool that can be used by brands to meet their marketing objectives. Facebook ads allow you to choose from a wide range of possible adverts including but not restricted to Page Post Engagement, Clicks to a website, Conversions on Website, App Installs, Video Views, Lead Ads etc. Over the last few years, Facebook has evolved into a paid marketing platform more than an organic one so it is essential for marketers to leverage the power of the various adverts available. You can read our detailed guide on measuring ROI from social media. In an attempt to make it easier for brands to reach out to potential customers and drive sales on mobile devices Facebook has started rolling out the Shop section in phases. This section allows a brand to list out their products and let consumers browse through the catalog and purchase products that they like from within Facebook. The social network does not charge you to add a shop section to your Page nor does it take any percentage of the money you make through it. In the upcoming year, more businesses will start selling stuff directly from Facebook as this new section is set to change the way we look at e-commerce and social selling. Ofcourse it also has had Product Ads for E-commerce companies for a long time now – these can be also be leveraged parallely. We have left out Instagram Marketing from this conversation, as it warrants its own blog. We are also seeing some interesting developments around Instagram analytics and Instagram targeting going forward. Do let us know what other features you expect FB to evolve in the coming months. Not so long ago, Facebook took a plunge into uncharted territories by launching Carousel Ads. Though this ad type was initially meant to showcase multiple products in one ad, Facebook crafted a strategy for the Carousel Ads to tease e-commerce clients and make them buy more ads on the platform. But the Carousel Ads slowly moved across verticals, towards becoming one of the advanced Facebook Advertising techniques that is extremely engaging in promoting businesses. According to a recent survey conducted by Kinetic Social, Carousel Ads can render up to 10 times more traffic to a business’ website, than static sponsored posts on Facebook. LOVOO found that they got a 72% higher click-through rate versus single image mobile app ads. Mirroring the effectiveness of interactive cover pictures on Facebook Pages, it appears quite clearly that these ads can be extremely effective, but how can you maximize their potential? Here are 3 simple ways to use carousel ads that can nail your targets with a bull’s-eye! Carousel Ads allow you to place up to 5 cards with images that can communicate messages effectively. If it’s a single product that you are highlighting, it would be prudent to describe its features in detail, keeping the CTR on an inclined angle. A ballet shoe manufacturer made effective use of showcasing a product, where each card of the ad focused on one distinct feature. They also used the headline copy to provide defined context to each image. It always sums up to be a perfect formula when you try to deliver a good idea of what customers can expect from your offering. This will improve the quality of enquiries/leads, thereby increasing the probability of sales through Facebook. An automobile giant promoted one of its newly launched Coupé by creating an expressive Carousel Ad campaign that displayed features that made the car stand out from its competitors. The cards highlighted the key specs and of model and attracted genuine customers to engage with the carousel ad. Stories are an incredibly effective way for branding, talking to customers, and engaging with them. A popular western airline company created an effective carousal ad campaign to market their vacation packages to The Grand Canyon. They infused a panorama of the location to tell a story that triggered people to book their air tickets to visit the location. In our view, with a little bit of testing and optimization to avoid common mistakes, the effectiveness of the Carousel Ads in driving clicks to URL destinations, is very cost effective. Have you experimented with Carousel Ads as a way to drive clicks to your business? We love to hear your thoughts and experiences in the comments below this post. Facebook has announced that they will shortly be introducing product ads, wherein advertisers can showcase and promote multiple products and even entire product catalogs through ads on the social network. This seems to be great news for advertisers, especially for ecommerce companies as this will enable more products to be shown to a wider audience. Advertisers can automatically reach people who visited their website/app (via Custom Audiences), or reach people based on specific interests, locations, etc. Advertisers can upload entire product catalogs and then use advanced Facebook Ads targeting techniques to reach the right customers who would be interested in those products. We can’t wait to try out this new feature and share our experience on the results acheived. Do share your experience with it as well. With Facebook deploying constant tweaks to its news feed algorithm, the reach of organic Facebook Page posts have dramatically dropped over the last 6-8 months and is going to drop further in 2015, as per Facebook’s announcement on the News Feed. What this means is that Business Pages will need to constantly innovate to provide interesting and engaging content to their users in order to reach their News Feed. That being said, advertising and boosting posts is going to be a more significant aspect of every brand that wants to leverage FB. To aid in battling this scenario, we have compiled a list of lessons learnt that includes certain targeting techniques which can help you make the most of your ad campaigns, reaching more number of potential audiences with relevant messaging. If you haven’t tried Custom Audience feature of Facebook yet, then 2015 is the year to leverage yet. Your company can create a Custom Audience by uploading your email addresses, phone numbers or Facebook user IDs. This could be a list of your existing customers or prospects you met through your other promotional activities. By uploading this database on FB, your Facebook Page can have unique campaigns targeted towards these audiences. Let’s assume you are running an ecommerce site and you have 1000 users who bought t-shirts from you in the last 3 months. By uploading this database onto FB you can feature your new T-Shirt launches to this audience. The use cases for Custom Audiences are endless and it also comes handy in filtering down large audiences with a specific set of interests. Even if your database is small, Facebook allows you to expand it by creating a "Look-alike audience” which creates an audience similar to that of your uploaded database – they take into account demographic data and interests. If you’re going to run an ad campaign on Facebook, make sure that the traffic is driven to a dedicated landing page where your visitors can be converted into potential leads/customers. In our experience over the last one year, running page like ads and boosted posts can have limited impact on the end result of your business (i.e. conversions or leads or online orders). Website Conversion Ads or Website Click Ads on Facebook can be far more effective medium to leverage the large and relevant audience that Facebook has in India. A landing page is critical to deriving results because the landing page has a single focus and is able to convert a higher percentage of visitors into leads or customers. Please do keep in mind that the Landing Page should ideally be an expansion of what the ad/promotion tries to showcase. Below is a snapshot of a landing page & ad for Saint-Gobain Glass. The behaviour section of Facebook Ad targeting is an often underutilized feature, but actually one of the most powerful targeting mediums. Using this section, your page can target FB users who have certain mobile/internet behaviour. For example, users who use 2G internet connection vis a vis 3G or 4G internet connection. Or users who run small businesses or manage a FB page of their own. Or users who are regular travellers or regular photo uploaders. Or users who use specific mobile devices (iPhone 6, Nexus 5, Note 3 etc.) or Feature Phones vs. Smartphones. Another interesting targeting medium under behaviour is called “Online Spenders”. This has proven to be very effective for e-commerce companies. Facebook through its Website Conversion ads knows which users are spending online. This has immensely helped in making the targeting niche for online shopping sites that we have advertised for. They also have an Expat Category if businesses are interested in targeting NRIs outside India or targeting Expats who reside in India. Apart from the regular targeting of Age, Gender & Location, there are interesting targeting filters under Life Events. They have categories like Friends of users who have recently engaged or recently moved homes – these categories can be interesting for a company into gifting. Another category is “Anniversary within 30 days” so it can be interesting for restaurants, hotels, travel companies and gifting companies who can target users whose anniversary is coming up. Another interesting category is called “Parents” where Pages can target expectant mothers as well as parents who have children of specific age groups – this can be very effective for a business like a kids store, play school, entertainment centre etc. Many such categories exist so check them out to see if its fits your business needs. Job Role/Company – It can be useful for a B2B company to form a strong inbound marketing strategy by targeting users in a specific industry or job position. Demographics, in general, will help you increase your ad’s performance and reduce the effective cost per click and cost per action, narrowing your audience to a greater extent. Helps target those audiences who have expressed interest in subject matters or brands that are connected with the ads. This helps the brand/business tap the most responsive set of population who might be interested in the product. For example, a business which is selling musical instruments, it can target users who have interest in Guitars, Keyboards, Yamaha & Casio. These interests span not just broad topics but even specific brands (i.e. Yamaha & Casio in the above example). This can also be used to target users of competitor brands or websites. The right images & text used connects with the audiences and creates an appeal for the product being advertised. While creating an ad, one must ensure that the text used must contain a brief (preferably 3-4 words) description of the product/service being advertised in the form of popular adjectives. This description along with a clear call to action can help in getting a higher click through rate. Mentioning the price is also important since it gives the audience an idea of whether they can afford the product or not. Images that are used for the creative should not be cluttered with too much text or design. The neater and confusion-free they are, the better the ads work. Facebook of course has the 20% text rule so Facebook ads cannot have more than 20% text. Bringing Your Facebook Covers To Life! The digital space has seen a lot of discoveries recently, Real-Time Covers or Live Covers for Facebook being one of them. LiveCover.com is one of the first few companies to formally provide this interesting service to the brands that are present online. They offer a brand an auto-updating live Facebook cover that is based on some trigger. It is literally like bringing your Facebook Cover to life with live content & images, automatic refresh, dynamic & customized content and have it updated as often as every 1 minute! Fascinating isn’t it? We certainly did find this service useful & interesting and ended up using it for one of our clients’ Facebook page which reached a milestone of 1,00,000 fans on Facebook. The idea was to showcase a Superhero on the cover image which would keep getting charged on receiving new likes. The trigger for the Facebook cover to update on its own was set at 200 likes. So every 200 likes, there was a new cover with the Superhero charging all the way up to achieving 1 Lac likes. The idea behind using these live covers was to do something different for the fans and it was well-received by the audiences. The likes increased at a 2x rate and within 24 hours we were able to reach the mark of 1 Lac. Live Cover served as a fruitful discovery for garnering attention from the audiences and also engaging them. In these times where every minute, there is a new digital trend, it becomes important to stay in the race and updated with these trends to unlock new parameters for brand building & extension. According to a recent study by eMarketer, India records the highest social networking growth as the number of active social network users in the country has grown by 37.4 percent in 2013. Even though the overall internet penetration is low in India, the number of active social media users in urban India is expected to cross 80 million this year, as opposed to 63 million in 2013. From being online platforms solely used for social interactions, to becoming a significant part of the marketing strategy for brands today, the growth of social media networks like Facebook & Twitter has been tremendous. As the pressure is mounting on these social media networks to prove that they are successful sales channels, they are constantly making efforts to modify & introduce new advertising options. The latest buzz is that Twitter is following the footsteps of Facebook in testing a ‘Buy’ button that will now let users shop from their social media sites itself, without having to navigate to the retailer’s website. 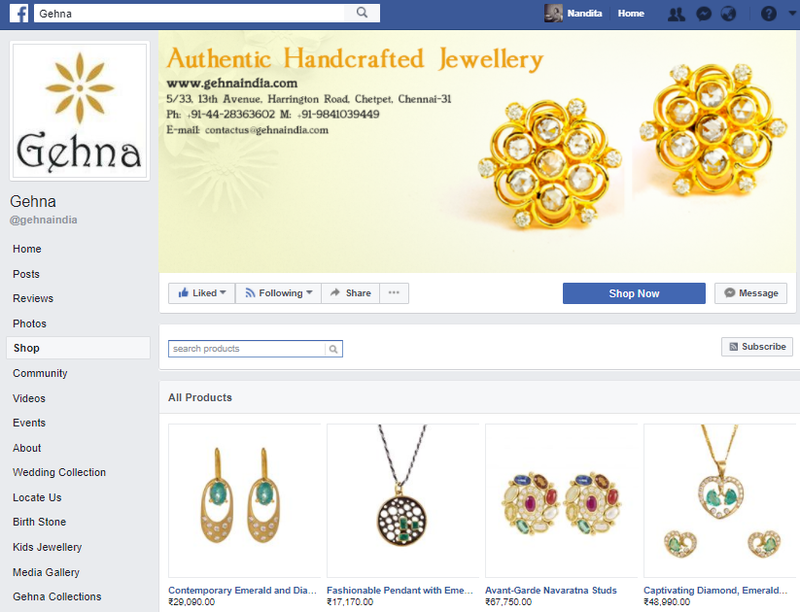 Facebook’s Buy Button – Convenience or Clutter? Facebook officially announced in July about the testing of a ‘Buy’ button that would appear in newsfeed ads and page posts. As of now, it is only being tested with a few small and medium-sized businesses in the U.S. This is not Facebook’ first attempt to crack e-commerce as they previously introduced the ‘Gifts’ feature which was shut down within a year. Even though the earlier attempts were unsuccessful, the team is keen on working on other commercial purchase features within Facebook, with ‘Buy’ button being the recent result of it. This button is expected to provide an added level of convenience for online shoppers to buy products from merchants within the Facebook framework itself. The customer can use his credit card on file with Facebook and make purchases directly. The option to save your payment details or just checkout without saving is also available. However, Facebook claims that the entire functionality has robust safety & privacy options and won’t pass on the payment details to any of its other advertisers. The main objective of introducing this functionality is to increase the conversion rates and the return on investments for its advertisers. Not to forget that this new development will put them in direct competition with e-commerce sites like Amazon, also providing a new avenue for Facebook to gain some revenues through sales and payment processing. Will Twitter Commerce reveal your identity? Two months after the announcement from Facebook, Twitter revealed about testing its own “Buy’ button to facilitate sales & increase revenue. This facility to make purchases directly from tweets is available only to a small set of consumers in the U.S as of now. It is now being experimented with selling limited edition merchandises, charities, and concert tickets and is expected to grow with more product options based on the initial testing feedback. Launching on the mobile platform first, Twitter says the purchase process will only have few simple steps & is completely secure. The user can simply click on the buy button, enter product details, choose payment option, enter shipping details and make a purchase. This payment data used by the user can also help in revealing the real names & details of its anonymous Twitter profiles, a move that can be greatly beneficial for marketers. However, Twitter denied the possibility of this and emphasized on working with Stripe to make the entire transaction completely safe & private. The previous attempts made by these social media platforms to explore e-commerce have not been so successful. Pinterest, the only platform to have topped Facebook in driving referral traffic to retailer sites has made promising developments, but still lags behind when it comes to investment & adoption. If the ‘Buy’ option proves to be highly beneficial for Facebook & Twitter, brands that focus on time-limited offers and on-off promotions have chances of getting high investment returns. However, the performance of direct ‘Buy’ button when it comes to high value products & the ones that need more research & time is uncertain. Will privacy be a concern for the buyers? Social media platforms have been playing a major role in influencing the decision making process of its users. These networking sites possess large amounts of data about their consumer preferences which helps them to come up with tailor made posts and promoted ads. The ‘Buy’ option to be introduced will facilitate the quick shift from a promoted post or tweet to a shopping cart which saves a lot of time & effort for its customers. However, privacy & security around financial data is something that these social networking sites are constantly trying to assure its consumers. For both retailers and social media sites, the objective is to successfully merge online commerce with mobile & social activity of people, without obstructing their user experience with unwanted targeted ads filling their timelines. Hence, if the testing of ‘Buy’ button turns out to be successful, it would open a whole new avenue for these platforms to not only influence our social life, but our shopping patterns too. While you are reading this blog, there are millions of people liking, sharing or commenting on Facebook. If you are a business entity who wants to build a brand, convey a unique message, propel your business to greater heights you got to know things you should avoid while marketing on Facebook. When you are creating a brand page, ensure you fill up all details like address, cover photo & contact information that is easily accessible by the visitor. If you are expanding to newer locations, ensure you enlist them in your page or best to create separate pages for each location branch. You also get brownie points if you share similar URLs for Facebook, Web & your twitter handle. You should not change the URL/Facebook page that maybe misleading. Unfortunately many businesses fail to leverage Facebook as a powerful & effective medium of advertising due to budget constraints. The tools are sophistically designed to track which ad is performing better over a period of time. Using particular & relevant keywords you can target the right audience and ensure. A creative ad should have high brand recall, influence buying decisions & be rewarding like (price discount) to ensure higher engagement and conversion. a). The contact information like mailing address, contact number, email ID or web URL. b). A call-to-action button asking them to “like”, “share”, “comment”, “invite your friends”; it is to be strictly avoided. c). This is commonly seen among e-commerce client - Showcasing price discounts like “30% off on purchase of Rs.1000 & above”. Research proves that posts with about 150 characters get about 50% more likes & traction in comparison to those long posts with 200 characters or more. So keep it short to get better engagement, by breaking the barrier. People like visuals better than content. Be conversational – ask questions & encourage participation. “Facebook Insights link” gives you a wealth of information about how well is your page doing. Monitoring results of each post – reach, likes, source of traffic, most viral posts, paid vs. organic traffic in absolute and relative measures. By closely tracking the performance, it is undeniably the best tool to channelize your efforts in the right direction to maximize your results. This helps you repeat what has worked best in the past, what time is the best to post (peak traffic) & which of your posts has connected well with your followers. Ignoring Facebook insights is like taking your page to the Holy Grail. The frequency of posting can have a major impact on the number of “new page likes” and “reach” of the post. Your followers would love to see an excellent post a day rather than many average posts. They may also “unlike”/ “unfollow” if it occurs as spammy content. Take care to respond to comments on each post & never ignore complaints from unhappy customers. They are unlike to return if they feel unheard or ignored. You can manage it better with Facebook Brand Page Manager app. Your brand can have different products and customer segments. Showcasing all your messages on one Facebook page will alienate your fan base, rather than engaging them. Instead of a one-size fits all approach, identify your customer segments and have dedicated spaces for them. Alternatively, use post targeting to reach only users who would find the specific content engaging. For example, if you are a real estate company with properties across multiple cities, target posts related to properties in Chennai to fans based out of Chennai and nearby cities only. Most people work from 9 am to 7 pm. Hence it’s important to ascertain what time is ideal to post, to ensure it maximum reach to target audience. Try to understand your audience & ascertain when traffic builds up in your page. Your posts reach will be higher if posted at an appropriate time. Nothing can stop a creative post, well timed, go viral. The tip that we find most interesting is "Focus on one tool at a time". We also believe that as you start on your social media strategy, it is important to excel in one social media tool initially and then expand into others. Moreover, one social media tool should be at the epicenter of it all. For some businesses Facebook is the epicenter, for some it is youtube or blogs and in some rare cases it is twitter.